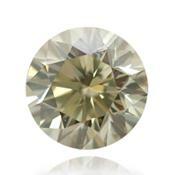 - 1.59ct Marquise shape Fancy Gray GREEN,VS2 clarity. 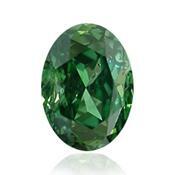 A magnificent Green stone with amazing rich color. 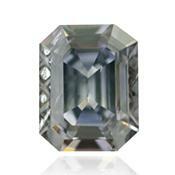 A Gray Green combination without Yellow over tone is extremely rare. 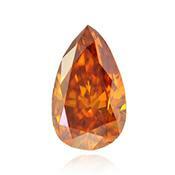 Meas:12.02x 5.41x 3.82mm. 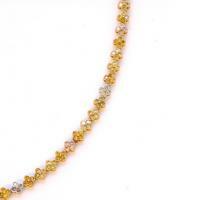 Sert. 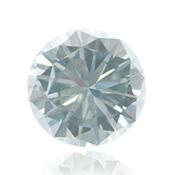 GIA. 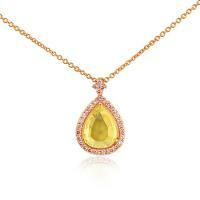 View all sale offering by green diamonds. 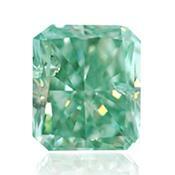 Pure green diamonds are extremely rare in nature and highly appreciated by collectors of fancy colored diamonds. 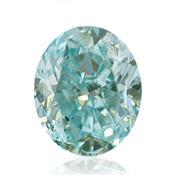 This fancy diamond is the second rarity, after the red diamond. 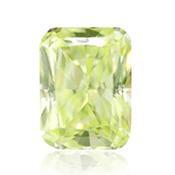 Only once in a year in the market appears the new Green diamond of intensive coloring without any impurities. 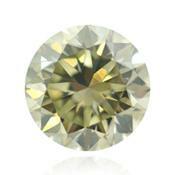 Most green diamonds have a yellowish shade. 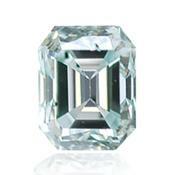 As well as other fancy diamonds, at diamonds of green color have various shades, from light green to the vivid green colors. 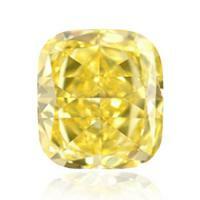 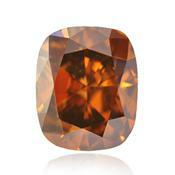 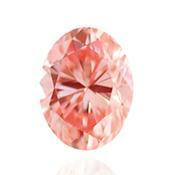 Green diamond’s price increases depending on the brightness and intensity of its shades. 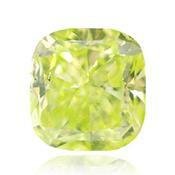 Brilliant bright and pure green is an extraordinary rarity. 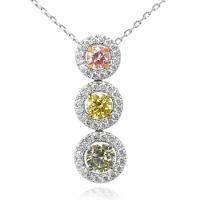 Usually to green color other shades are added, for example, greenish gray, greenish yellow, a chameleon and with an olive shade. 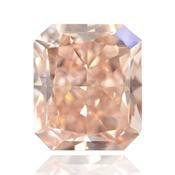 All these additional shades much more reduce the cost of a green diamond. 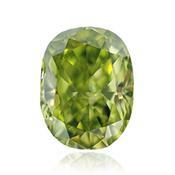 Main deposits of green brilliants are in the territory of the southern part of Africa. 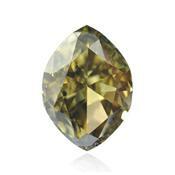 Besides, green brilliants are mined in Australia, Brazil, Ghana, India, Congo and in Siberia. 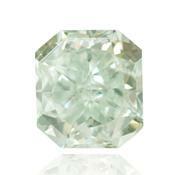 The formation of green diamonds. 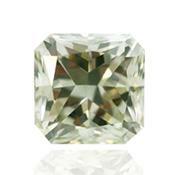 Formation of green diamonds is one of difficult processes. 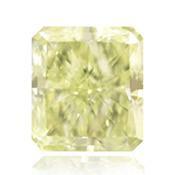 The green shade is obtained as a result of exposure to natural radiation during brilliant formation. 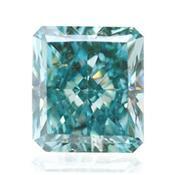 Coming into contact with a radioactive source at any stage of their formation, some of brilliants develop a green coloring after an extent of millions years and more. 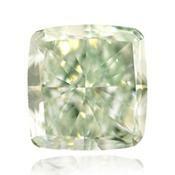 The saturation, depth and distribution of green color in diamond depends on a type of radiation. 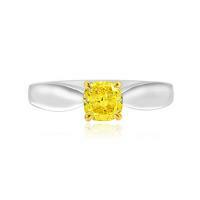 More common form of irradiation brilliants is alpha radiation found in uranium compounds. 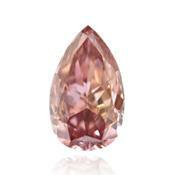 Alpha radiation produces only surface stains, and brilliant is colored as green spots or thin skin which loosing during the cutting of a brilliant. 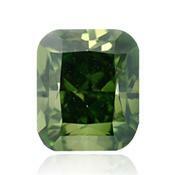 Beta rays and gamma rays penetrate deep into brilliant and gemstone give stable green color. 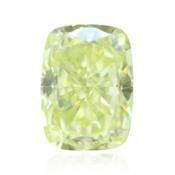 Saturated and vivid green diamonds are much rarer and are more expensive. 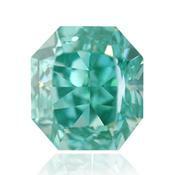 Natural green brilliant of pure and vivid color is a huge rarity. 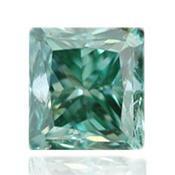 In most cases, the green color of different colors are mixed, which greatly reduces the cost of fancy diamond. 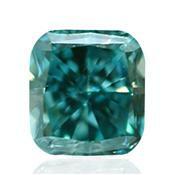 In most cases, various shades are added to green color and which substantially reduce the cost of a fancy diamond. 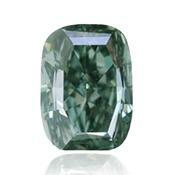 Some additional shades of green diamond give additional charm and look very stylish. 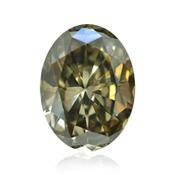 For example, the green diamond with shade of called "Chameleon" is olive gray color diamond with alexandrite effect, changes its color from blue-gray to olive-green or yellow-green depending on the lighting. 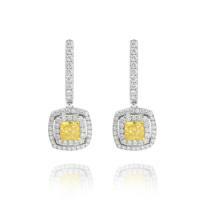 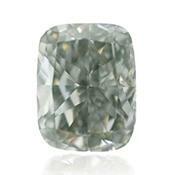 But, despite his unusual, natural green diamonds without additional shades have the highest price. 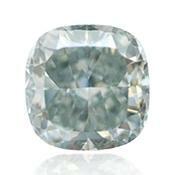 Intensity of coloring of green brilliants can vary from easily green shade of pastel tones to intensively green color. 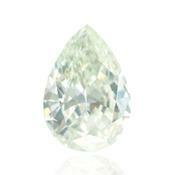 As with all fancy diamonds, green diamond’s cost will be higher than the saturation and intensity color of gemstone. 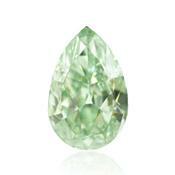 Green diamond has the second highest of value and rarity after the red diamond. 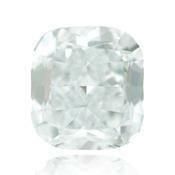 Its average price starts at 250,000 dollars per carat for diamonds up to one carat. 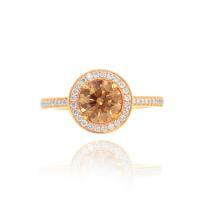 For the bigger diamond price per carat can reach more than $ 1 million. 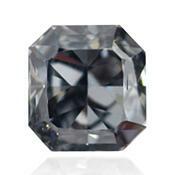 Green diamonds are very rare and expensive, and therefore practically anybody, including jewelers, didn't see a ring with a green diamond. 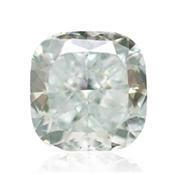 Rings with natural green diamond don't get on a counter of shops, their do the suborder for the specific buyer. 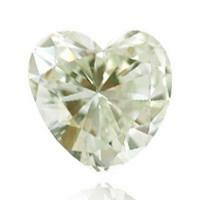 Ring with a green diamond isn’t only exclusive jewelry, but also a reliable investment. 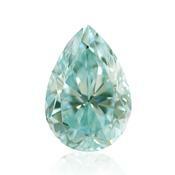 To buy a green diamond. 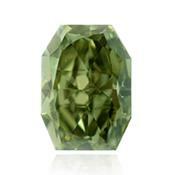 Neither fashion collection of fancy diamonds is complete without a green gemstone. 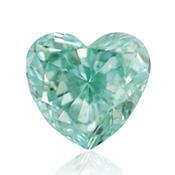 Natural green diamond is highly appreciated and admires true collectors and fans of diamonds. 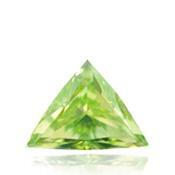 The green diamond on a rarity is on the second place after the red diamond. 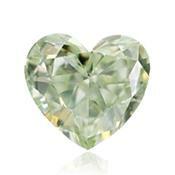 Natural green diamonds are so rare that the most of jewelers never saw and never will see a pure green diamond. 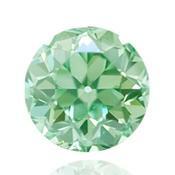 Pure and vivid green diamond is extremely rare gemstone, brilliants with the mixed shades are more widespread. 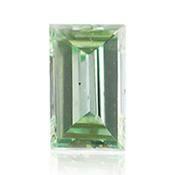 It is much simpler to buy a brilliant of greenish-blue or bluish-green color, yellow-green or greenish-gray color, olive or “chameleon” colors. 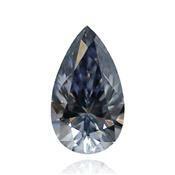 Upon purchase of fancy diamonds it is necessary to buy the brilliants having the certificate of GIA (Gemological Institute of America). That is very important to see all characteristics of a gemstone and it is obligatory to be convinced that this brilliant natural.